When you say “Hi” to 4-and-a-half-year-old Charlotte as she’s coming in for therapy, you will be greeted by a big smile and an enthusiastic wave. However, this was not always the case. When Charlotte began receiving therapy services at LeafBridge in May 2017, she had to first overcome emotional issues. The beginning years of her life were full of medical trauma that profoundly affected her. She was afraid of the therapists, and she and her mom were uncomfortable being separated from one another. They spent a great deal of time building trust with the therapists, eventually getting to the point where Charlotte now sometimes forgets to say goodbye to her mom because she’s so excited to see Miss Cathy and her other therapists! Charlotte, like many children who receive services at LeafBridge, has a complex medical history. She was hospitalized in cardiac intensive care at Boston Children’s Hospital for the majority of her first two years of life due to complications from a severe congenital heart defect. This led to further medical issues including end stage renal failure, intestinal failure and chronic lung disease. 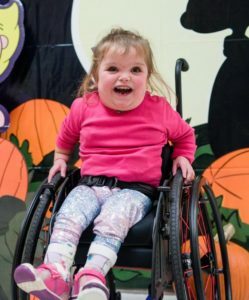 Charlotte’s medical history set the stage for a host of developmental problems, including medical conditions that led to difficulty walking, talking and eating. At LeafBridge, Charlotte receives individualized occupational, physical and speech-language therapies. She has participated in our STEPS to Independence intensive therapy program, which has brought about incredible results. 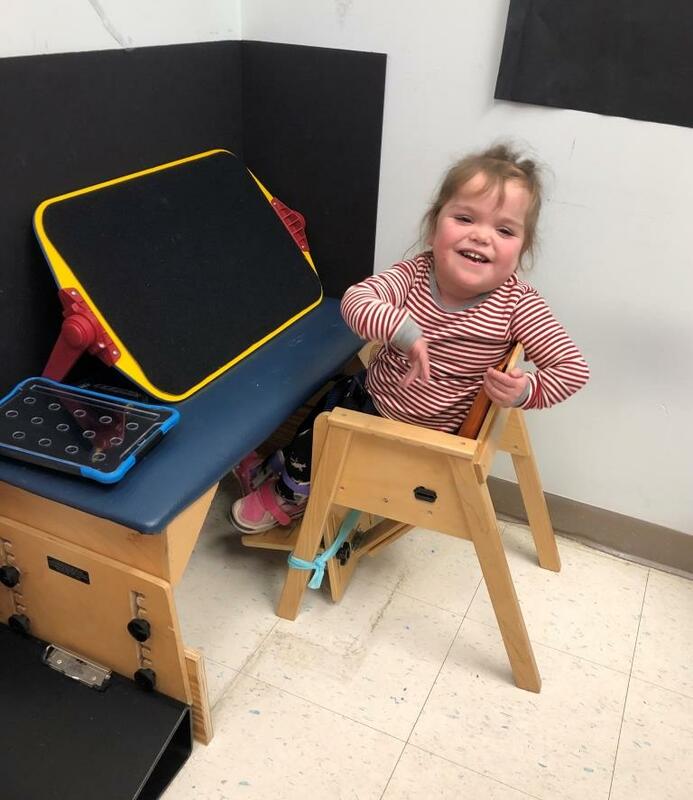 When Charlotte started therapy, she was able to sit independently, but could not move out of that sitting position to reach for toys or anything else she wanted. Her team has concentrated their efforts on Charlotte’s mobility, and in October, Charlotte began crawling! She is also busy working on expressive communication by using her words (which are starting to emerge), sign language and a communication device. This past August, Charlotte also began attending the LeafBridge Day Program. Instead of attending preschool in her local school district, Charlotte comes to LeafBridge four days a week to receive services from a team made up of a preschool teacher, instructional aides and therapists. She is currently working on shapes, puzzles and coloring. She is “exploding with progress” and is very eager to learn. Everyone at LeafBridge is excited to see what milestone Charlotte will reach next. The sky is truly the limit for this marvelous little girl.